This weekend I headed to a small park near our house for some quiet time. The weather is finally starting to cool off, the sky was a bright blue, and the light was golden – the perfect conditions for a fun photo shoot! 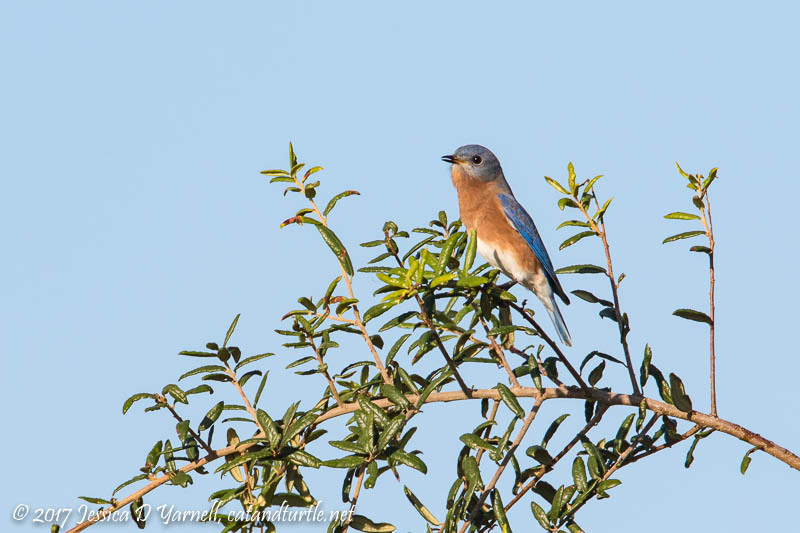 Although Eastern Bluebirds are year-round residents in Central Florida, I don’t have that many images of bluebirds. So when I heard the sweet, chortling call of the bluebird, the Beast and I set off to find it. Turns out “it” was a pair of them. They were on the hunt for their breakfasts. Like a flycatcher, they would perch at the tops of the trees, then dart out and catch insects in mid-air. They sang the whole time. The Palm Warblers have been back for about a month now, and they were all over the place. Also joining us now are Yellow-rumped Warblers. 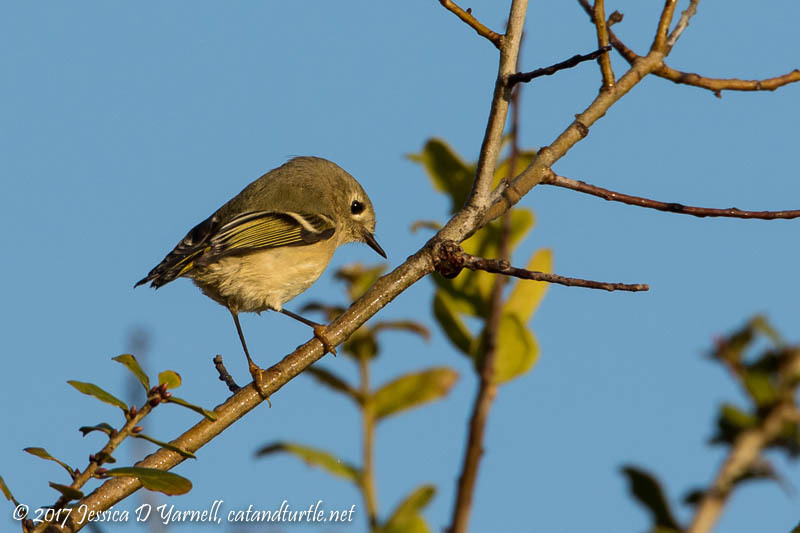 When the trees are full of warblers hopping around, it’s harder to find the other little birds, like this Ruby-crowned Kinglet who popped out to say hello. I asked him to show me his ruby crown. He said he wasn’t feeling particularly agitated, so he didn’t show me his crown. 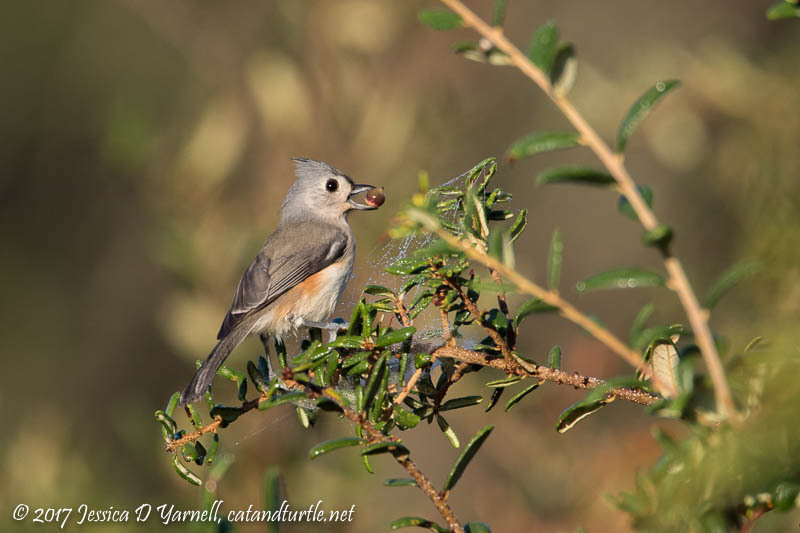 The Tufted Titmice weren’t the only cute little gray birds. 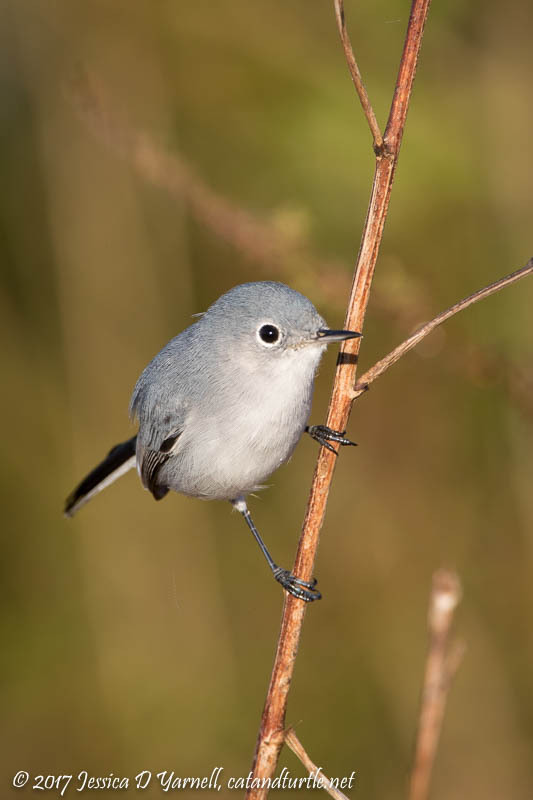 Blue-gray Gnatcatchers hopped around and posed periodically for the camera. I never get tired of photographing these little acrobats. 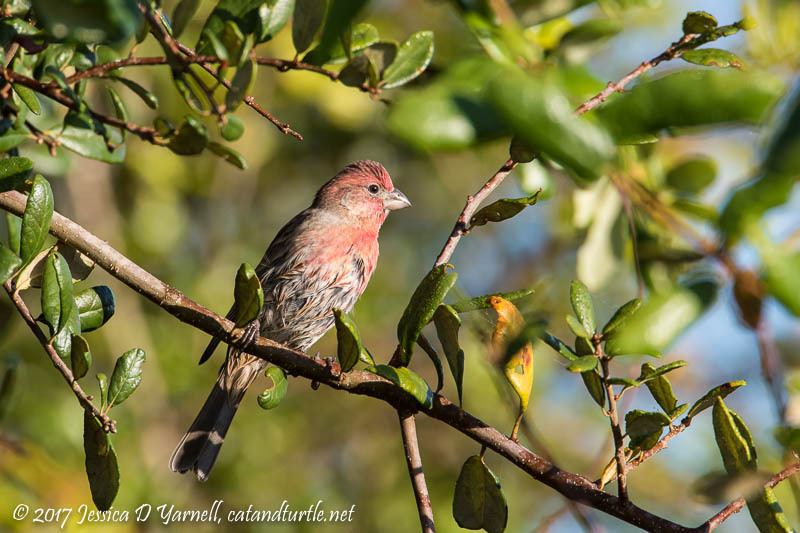 I turned around at one point and was surprised to see a male House Finch perched close to me. I got a few quick shots before he flew off with two of his friends. It’s fun to see them outside of my backyard. Our last bird of the day was also the one who gave me the quickest look at him. I spotted this White-crowned Sparrow, fired off two frames, and then the bird disappeared and I never relocated him. 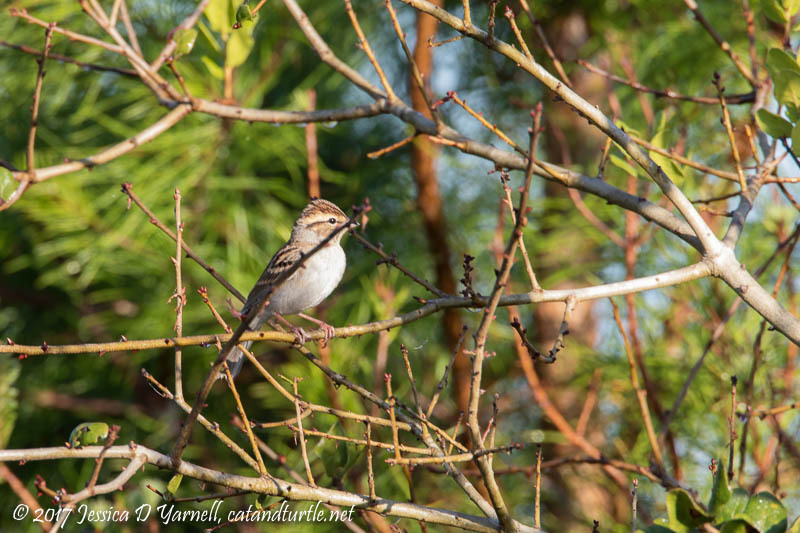 It’s fun to see the sparrows returning to Florida. Maybe on my next visit I’ll see more varieties. 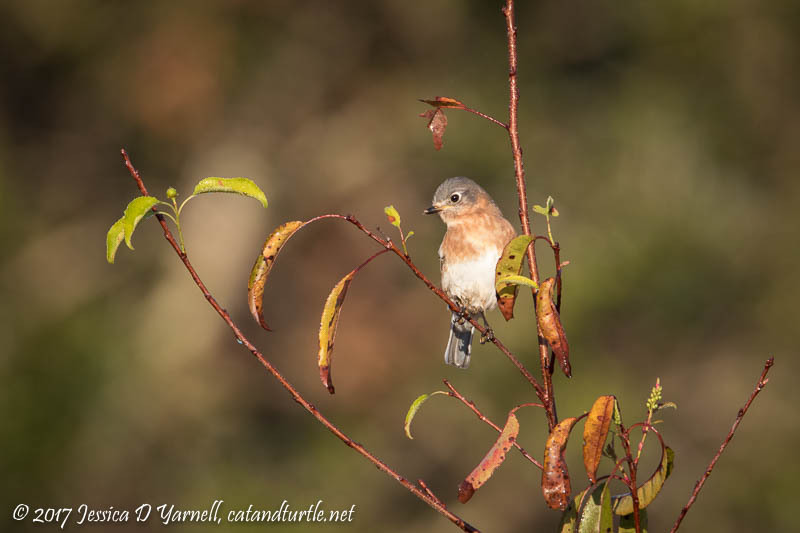 Only two weeks until Thanksgiving and a wonderful week of birding!